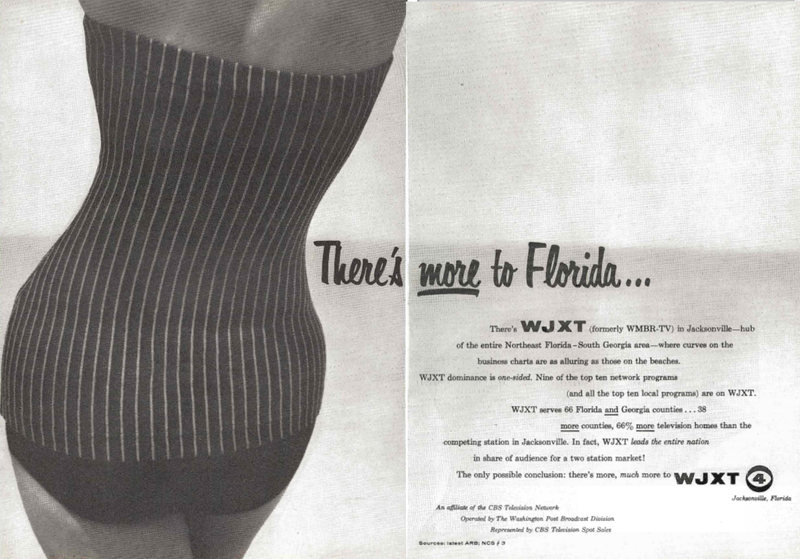 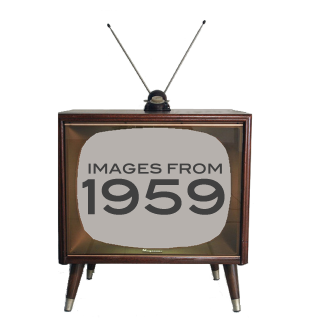 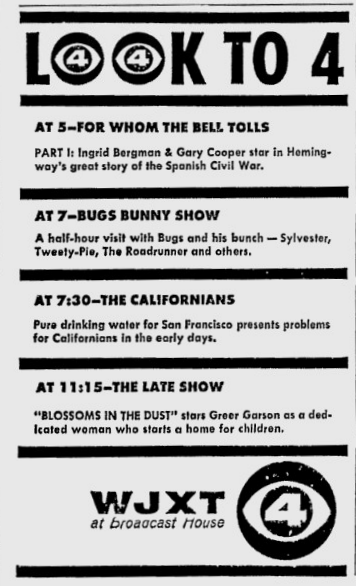 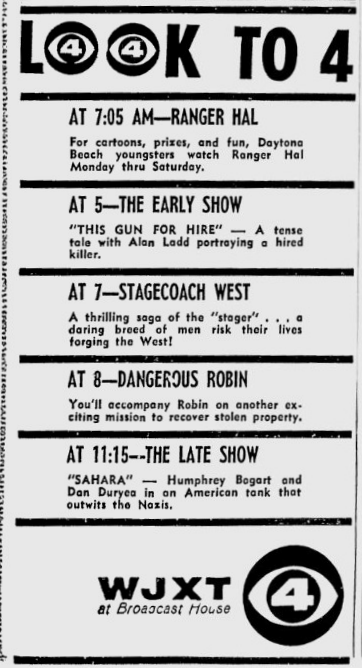 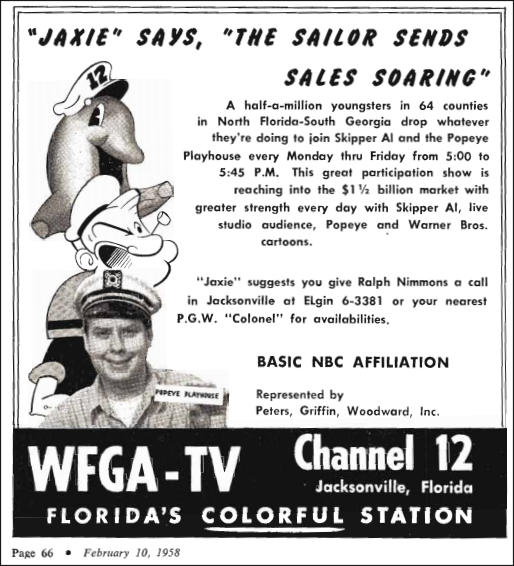 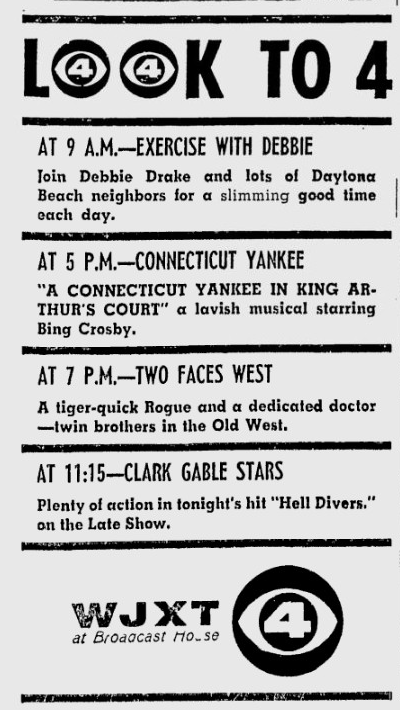 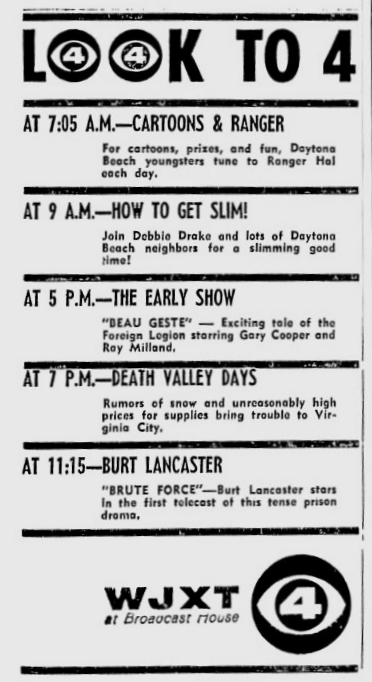 WMBR-TV would become WJXT in 1958 after the station was acquired by Post-Newsweek. 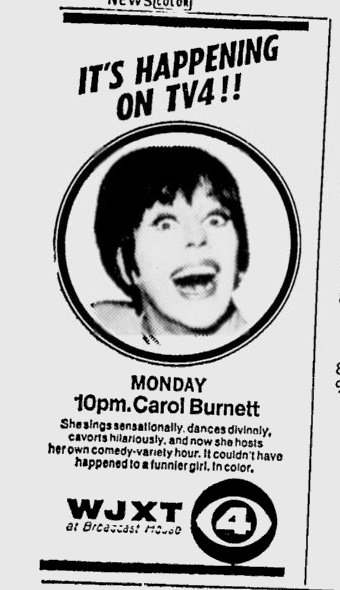 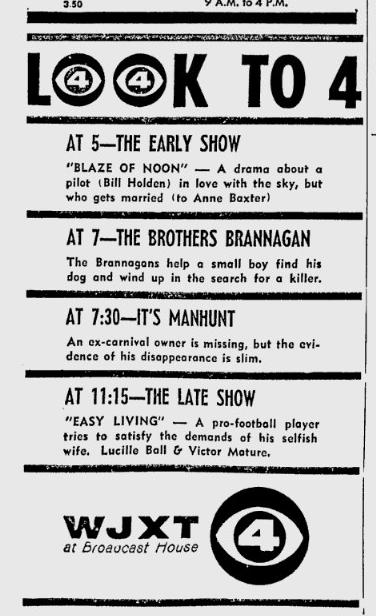 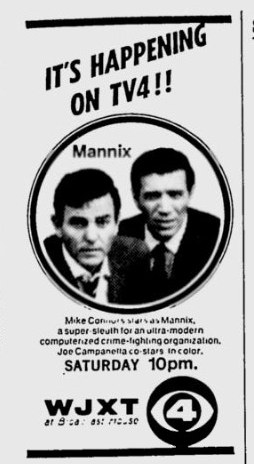 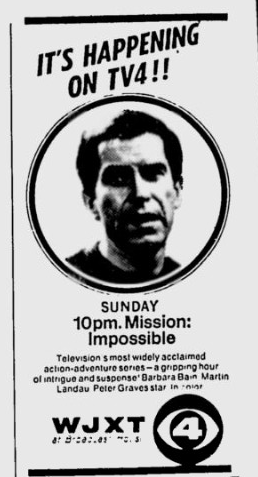 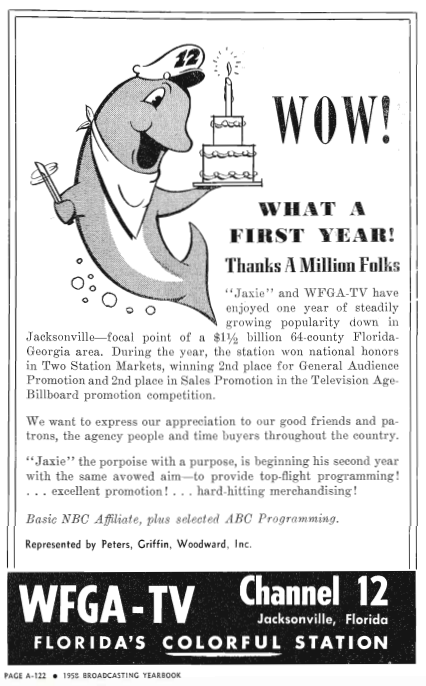 Jacksonville holds a special place in Florida television history. 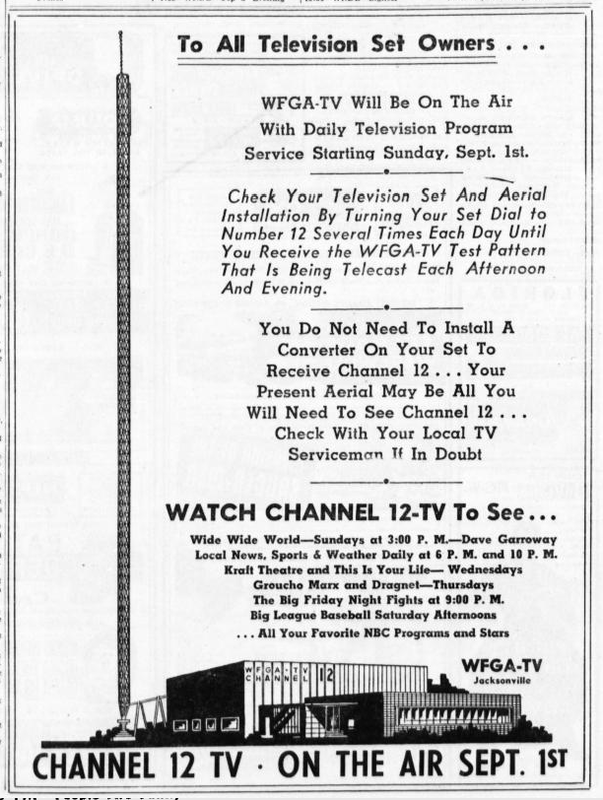 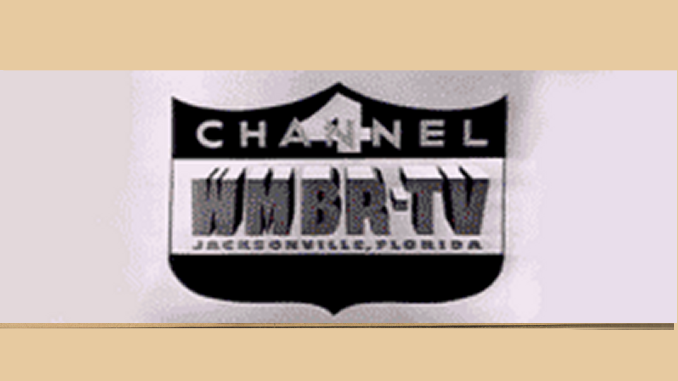 Less than six months after WTVJ-Channel 4 in Miami became the state’s first TV station, WMBR-TV Channel 4 signed on in September 1949. 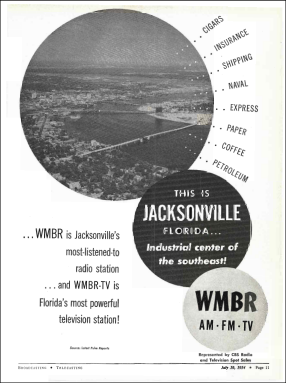 It was co-owned by radio station WMBR-AM. 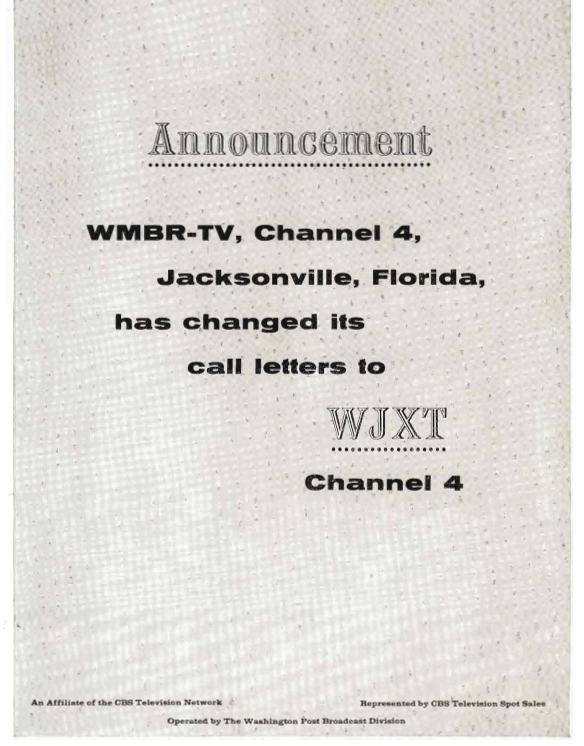 Jacksonville became a multiple-station town four years later when WJPH-Channel 36 began broadcasting. 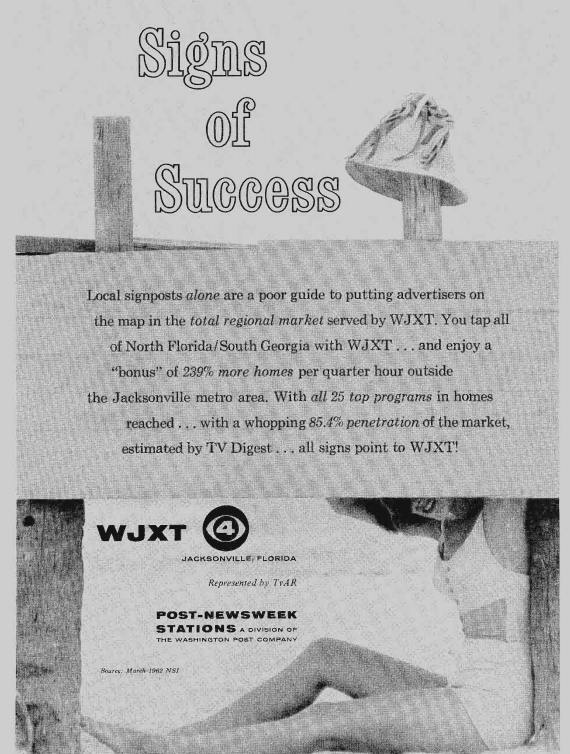 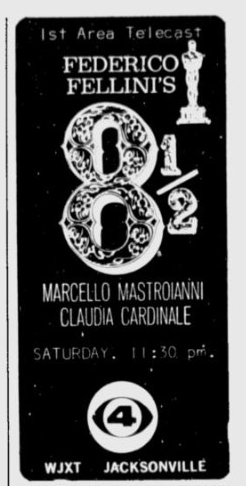 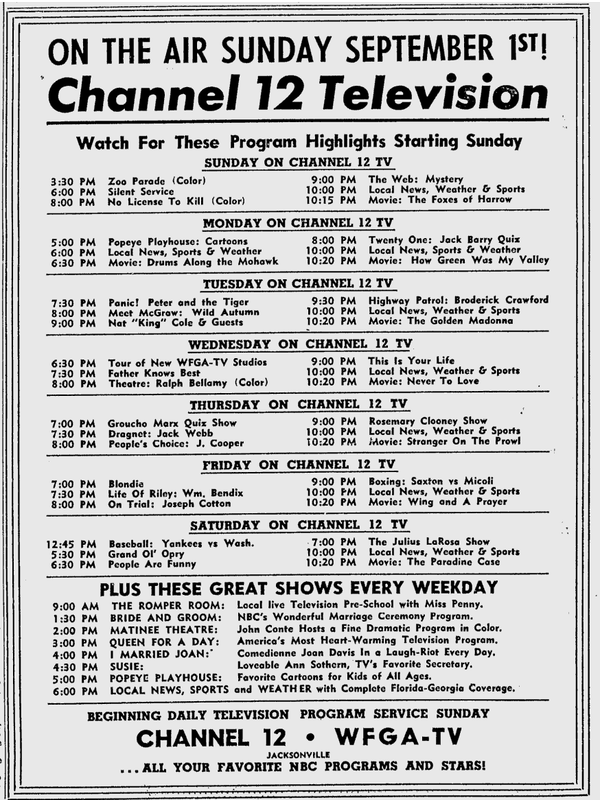 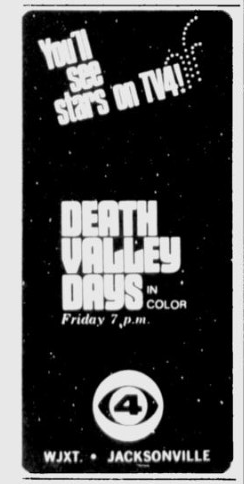 It was owned by the same company that would later put WESH-Channel 2 on the air in Daytona Beach. 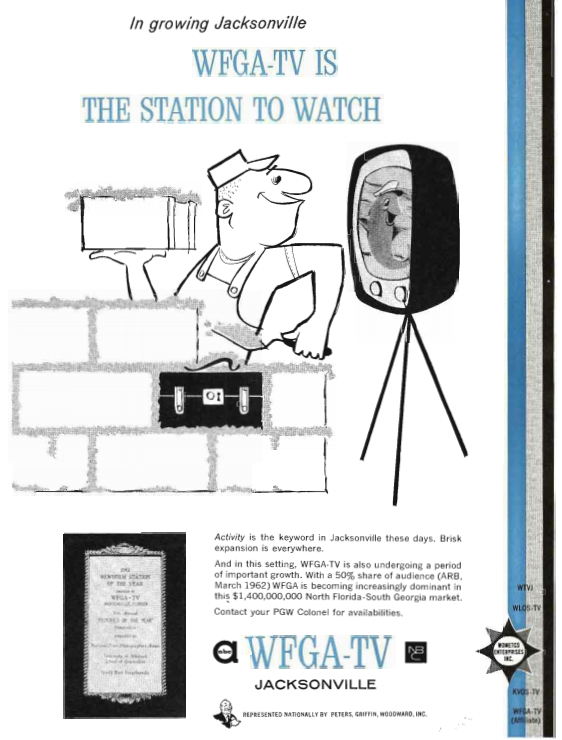 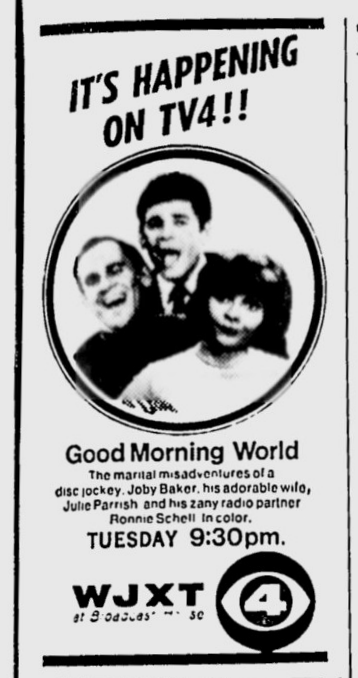 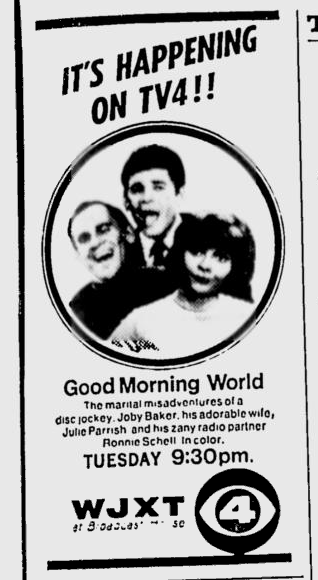 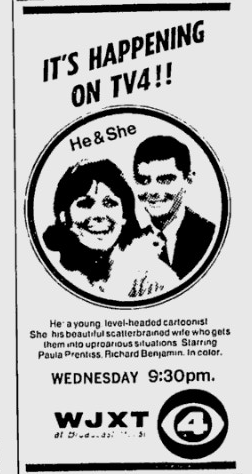 Unlike WESH, WJHP disappeared after just a few years — a victim of being placed on UHF, which many TVs at the time could not receive.